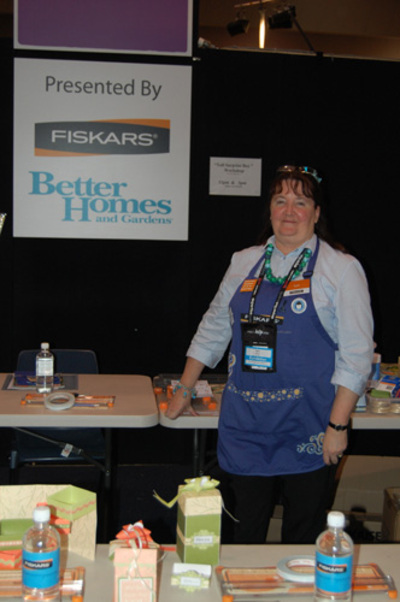 The ladies shall have a heap of fun Fiskars Tools & some yummy Bella products for you to create with!! Ooh...what a great way to spend a Saturday....take a friend along with you for double the fun! 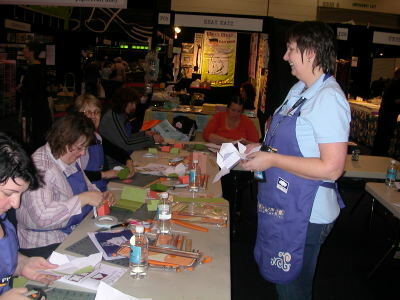 Craft Shows are such fun events............I can't wait until next year when BH and G Live comes to Melbourne. For those of our readers who live in the Sydney area of NSW......we have some exciting news!! 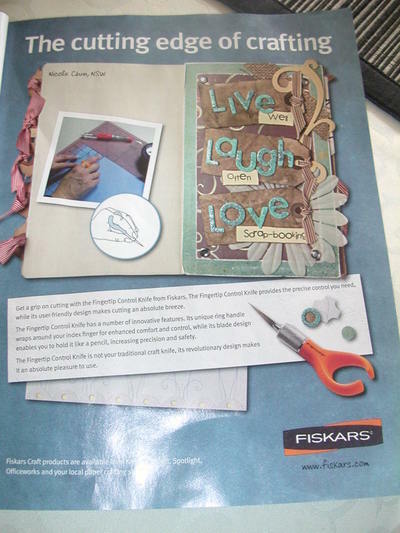 So make sure you drop by and have a play with the fabulous Fiskars Tools and all those yummy Papers and embellishments that from the BELLA RANGE in SPOTLIGHT stores. Tara shall be posting more about this closer to the Show and she shall also be sharing some pics....so make sure you mark down the times and dates in your Diary!! ***** I believe that this Show is coming to Melbourne in 2012...ooh how darn exciting for us Melbournians!!! 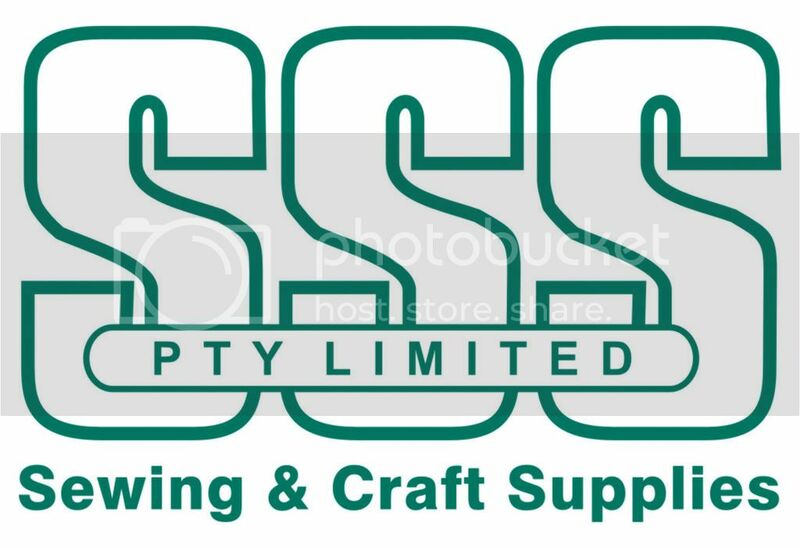 Hope you have a lovely weekend and can find some CRAFTY TIME!! 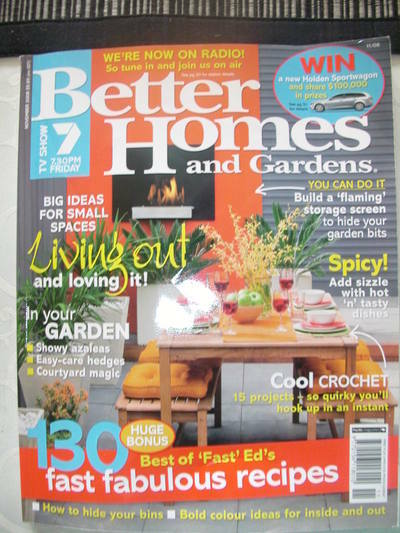 I received my copy of Better Homes and Gardens whilst I was at the Show last week and have only just had time to look through it.....and look what I spied....a new Fiskars advertorial using Nicole Chin's Story Journnal page.....remember the 12 Story Journals from earlier in the year? Congratulations Nicole.......and nice to see the fingertip control knife featured.......have you got one of these little babies yet? Linda Jones and I teaching a Workshop! 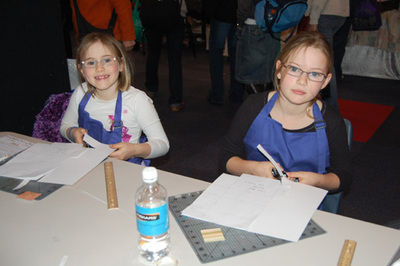 AND a couple of friends who love to craft.....thank you to mum for allowing this pic to be posted on here! 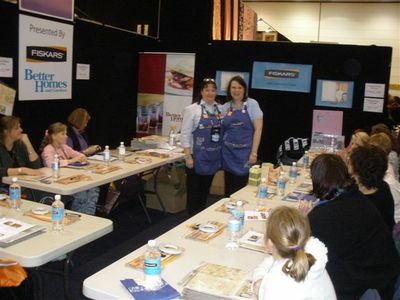 Here are a few more pics from the Craft and Quilt Fair held last week in Melbourne. 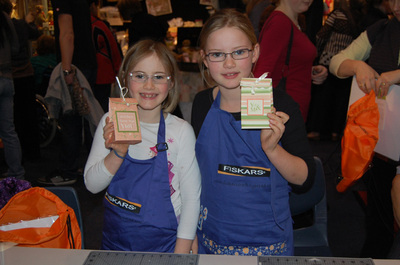 This was the first time that younger children were able to take part in our Fiskars Workshops.....and they did so well! 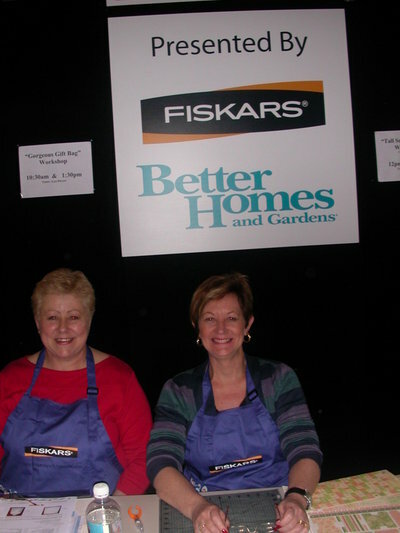 Here are two sisters who loved their new Fiskars Aprons.....and take a look at their gorgeous "Gift Bags" that they completed in one of my Workshops! and here I am getting the Workshop ready on SATURDAY.....a lovely man walked past and saw me taking pics and asked if he could take one of me with my camera....so here it is.......LOL! Be back later today.....some of the other Ambassadors have also taken some pics and they might also share some on here today......for those of you that are first time visitors to our Blog take some time to look around on here....there is a wealth of interesting information for you all. A big Craft Fair thankyou ! to Ann Marie and Toni from BHG for making me feel SO welcome. You girls really made me laugh and I enjoyed working with you. I look forward to many more shows and many more classes ! 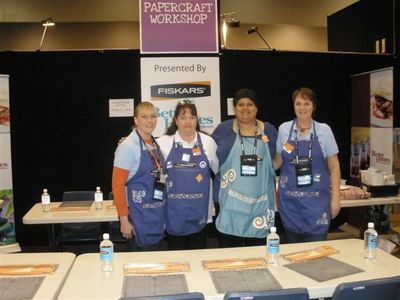 Here a few pics from DAY 1 of the Craft and Quilt Fair......Dawn and I are teaching Papercraft Workshops again today.........so much fun......the TEAM from Better Homes and Gardens are just lovely to work with. Ann Marie and Toni.....what gorgeous gals! Craft and Quilt Fair starts TODAY!!! Well the day has finally arrived.....woohoo.....we are off to the Craft and Quilt Fair Melbourne........doors open at 9am. First Workshop starts at: 10:30 sharp! 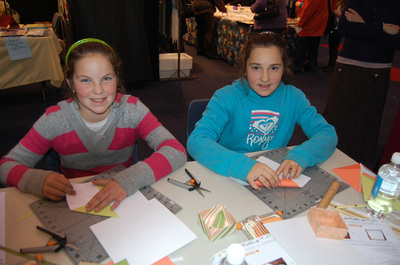 Papercraft Workshops can be made as soon as you enter at the Better Homes and Gardens Stand!